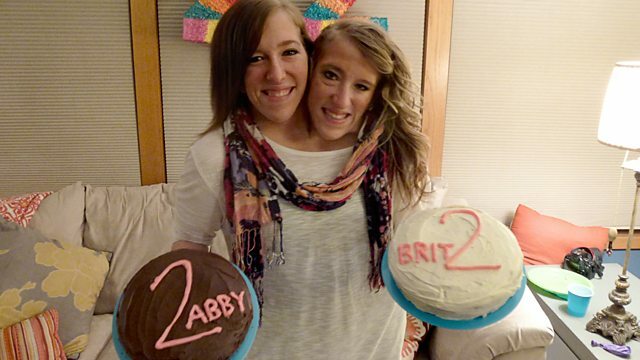 Documentary series following two conjoined twins. Halfway through their last semester at college, Abby and Brittany are planning a party with their closest friends. Abby and Brittany Hensel are two vivacious, funny and outgoing girls on the brink of their 22nd birthday. They're also conjoined twins. In this groundbreaking series, the extraordinary two young Americans tell us about their lives in their own words. As they graduate from college, travel through Europe and find their first teaching job, there is rarely a dull moment. Abby and Brittany are halfway through their last semester at college. They are planning a party with their closest friends to celebrate their final birthday as college students. After all this they need a break - spring break. But between all the sunshine and fun they must also prepare for their first job interview. Abby and Brittany are determined to live the normal life of outgoing 20-somethings.